Cinema APK is one of the popular applications to stream the latest movies/TV shows on a smartphone. The application, as of now, enjoys a massive user base. However, like every other application. Cinema APK also has to deal with a fair share of errors and issues. You might experience errors like non-availability of connection/video, non-availability of data/data links or crashing issues on Cinema APK. In this post, we are going to provide you with working solutions to fix these errors with Cinema APK. Let us discuss each one of them one by one. 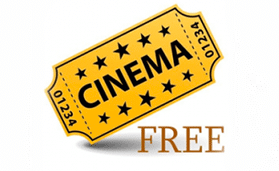 Check out: Cinema APK | Download Cinema HD APK on Android Devices(HD Movies App). If you are facing non-availability of video or connection error on Cinema APK, then try any one of the following solutions. As a first, check whether you are using the latest version of the application or not. If, by chance, you are not using the latest version and an update is available, please go ahead and update your application. If updating your application doesn’t work then we can’t do anything much for this error since they originate mostly from the server side. If the server of Cinema APK is facing heavy traffic, it might crash and cause a server, In this case, it is advisable to wait for a few minutes before trying to access content from the application again. If you are facing a ‘No Connection’ error then check whether your internet connection is working or not. A high-speed internet connection is required for the smooth playback of HD Videos. For the ‘Video Not Available’ error, you really cannot do anything much as this error indicates that the video is not available for playback in your geographic region. If you really want to watch the video then you have to install VPN. Tap on the same, close all the open windows of the application and launch it again. This will refresh the application and you won’t face this issue again. Must Read: Cinema APK on FireStick & Fire TV | Install HD Movies APK APP. If you are facing non-availability of data/data links error then also you can try clearing the cache initially. If the same doesn’t work then try out the following probable solutions. Try altering the DNS Settings as sometimes the fault is in the IP Address itself. However, make sure you have proper knowledge of DNS before trying out the same. If you have got any ad blockers installed, then they might stop Cinema APK for displaying any data. Try disabling the ad blockers and launching the application again. However, if none of the above works then it means you are looking to watch content restricted in your geographic region. In this case, you require installing a VPN service. This issue might come up after updating the application to the latest version. The issue lies in compatibility. The latest version might not be compatible with the hardware configuration of your Android device. In this case, it is best to switch back to the prior version of the application and refrain from updating. These were the simple fixes for Cinema APK non-availability of connection/video, non-availability of data/data links and application suddenly stopped working errors. In case, you have exhausted all the steps mentioned above and are still facing an issue with Cinema APK, let us know about the same in the comments section provided below. We will help you with fixing the issue. Copyright © 2019 – All Rights Reserved. Contact us. Disclaimer: We are neither owners nor promotors of Cinema APK. We only provide the download links to other sources on the Internet and useful guides which helps for hassle-free installation of this fantastic application. We do not host any copyright content files. This Content is purely for knowledge purpose only.